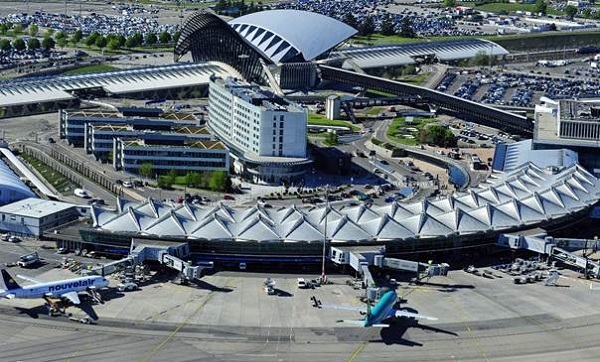 Work on key installations to upgrade Lyon Airport is changing the face of the complex as it sets out to fulfil its ambition of becoming France’s second-largest facility of its kind. Currently occupying third place after Paris CDG and Marseille, Lyon Saint-Exupéry saw 29 new routes open this year and is aiming to become the main departure point for the whole of south-east France. It enjoys good access, with Lyon 30min away by road and Geneva 1hr 30min by motorway, while 24 cities including Paris, Grenoble, Valence, Avignon and Marseille in France and Milan in Italy are connected to the airport by the TGV high-speed train. Other special features already in place include a modern and interactive Welcome Zone, where arriving passengers can find out about what is happening at the airport, in the city of Lyon and its surroundings with a mixture of up-to-date technology and human interaction. The showpiece of the improvement programme is the new circular Terminal 1, expected to be finished next summer, which will have a surface area of 70,000sq m, as much as all the other current terminals combined. Costing €210m, it will give the airport a capacity of 15m passengers a year by 2020. Passenger traffic last year totalled 8.7m, a 2.8% increase over 2014, while the first five months of this year have seen an average increase of 6.1% over the same period of 2015. The new terminal will contain the security installation for the whole airport at the outer ring, with other facilities including check-in and duty-free shops available as passengers progress towards their departure gates. The building will serve as an extension to the existing Terminal 1 as well as replacing the temporary section of Terminal 3 and will be connected to a boarding satellite via an underground gallery. In another innovative move, Lyon was the first French airport to inaugurate a central Operations Command Centre (OCC). Housed in a secret location within the airport premises, it brings together all operational aspects of the complex in real time, making it possible to adapt and respond instantly to passenger flow issues including security issues. Manager Ludovic Gas said the centre was the airport’s response to increased competition and the demands of increasing numbers of passengers and represented “a real added value”. He added: “All the platform’s operational activities have been grouped on a 600sq m site, optimised for collaborative data-sharing. It is central to the airport’s decision-making process. Lyon Saint-Exupéry covers an area of 2,000ha, of which 900ha is reserved land, potentially among the most important in France. Its capacity since the opening of Terminal 3 is 9.5m passengers a year. It has two runways, one of 4,000m (13,123ft) and one of 2,670m (8,760ft), with plans for two more at 3,200m (10,499ft) each. Development of these two would require a local referendum and is currently not planned before 2047, although airport officials say a 1% increase in traffic could mean a new runway might be needed by 2035.